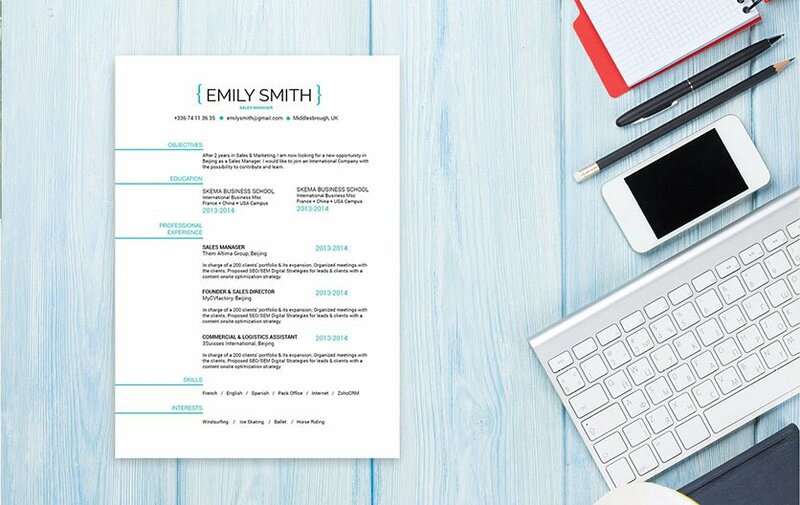 A truly feminine resume: simple & effective. CV template to download "Smily"
The Smily Resume possesses a simple and effective design that presents all the information with ease. 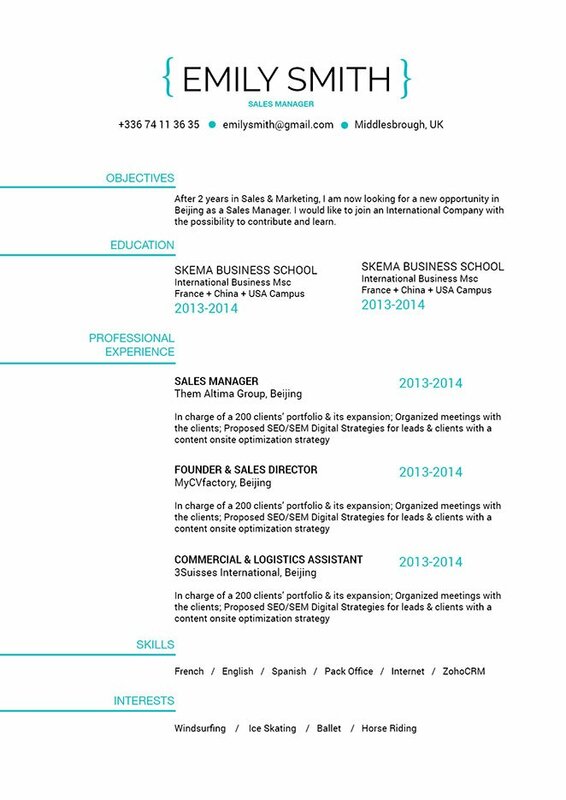 This modern resume template boasts a clean lay out that is perfectly applicable to many job types and is a great fit for applicants that need to present all their qualifications in a clear and concise manner as all the relevant information are clearly presented, which is sure to land you that dream job! Highlight your strengths effectively. Don’t just lay out all your skills and achievements like there’s no tomorrow, be selective and what you present to your potential employer. Only include the most relevant points to the objectives. Put these points on sections of your resume that are more likely to be read. This makes your resume more straight forward, and a perfect fit for the eye of your potential employer.